We haven’t heard much about nuclear power plants lately. Are they still being built? In this episode of Energy Bite, Granger Morgan, a professor at Carnegie Mellon University, Co-Director of the Center for Climate and Energy Decision Making and Co-Director of the Electricity Industry Center, will discuss the state of the nuclear power industry. EIA (How many nuclear power plants are in the United States, and where are they located? HOST INTRO: We haven’t heard much about nuclear power recently. Is anyone still building nuclear power plants? On this week’s Energy Bite, Granger Morgan, a Professor at Carnegie Mellon University, has some answers. DR. GRANGER MORGAN: Today there are 438 nuclear power plants operating in 30 different countries. There are roughly 70 new ones under construction and another 184 are on order or planned. The United States has the most, about 100, China has the most under construction, more than 60 and they have plans for over 100 more. HOST: Are we still building nuclear plants in the US? DR. GRANGER MORGAN: The US has four under construction, all in the Southeast where utilities are allowed to add the cost of the build to their electricity rates. HOST: Have any nuclear plants in the US closed? DR. GRANGER MORGAN: Yes, some are closing because they are outdated. But in parts of the country that have introduced competition in their electricity supply, there are also plants closing because they can’t compete with cheap natural gas. That’s a problem, because gas and coal plants emit carbon dioxide and nuclear plants don’t. HOST: Would you be willing to have a new nuclear plant in your region? Take our poll, see the results, and ask your energy questions at Energy Bite dot org. Energy Bite is a co-production between 90.5 WESA and Carnegie Mellon’s’ Scott Institute for Energy Innovation. How smart are smart meters? What do they do with the data they collect? In this episode of Energy Bite we’ll learn the answers from Granger Morgan, professor at Carnegie Mellon University, Co-Director of the Center for Climate and Energy Decision Making and Co-Director of the Electricity Industry Center. HOST INTRO: We’re hearing a lot these days about “smart meters.” Just how smart are they? On this week’s Energy Bite, Granger Morgan, a Professor at Carnegie Mellon University, has some answers. DR. GRANGER MORGAN: Today most smart meters actually aren’t very smart. In the past your power company had to send a meter reader out once a month to record the numbers on your meter, so the company could send you a bill. Today smart meters automatically send those numbers directly to the company. HOST If a meter is sending out information all the time about my electricity use, should I be worried about privacy? DR. GRANGER MORGAN: Yes, privacy can be concern. So companies need to use good encryption and data protection. Many smart meters also have the ability to shut off power to a home, so if companies don’t take care, hackers could cause some real inconvenience. HOST: To most people the word “smart” means “intelligent.” Just sending messages to the power company doesn’t sound very smart. DR. GRANGER MORGAN: Partly the use of the word smart is just hype. In the future, smart meters should be able to help you manage how you use electricity, and save you a bit of money. When there is a shortage of power they should also be able to control big loads to reduce the risk of blackouts, without disrupting the quality of the services that you get. HOST: Do you have a smart meter? If it saved you money would you want one? Take our poll, see the results, and ask your energy questions at Energy Bite dot org. Traffic lights go out when we lose power, causing gridlock that interferes with emergencies and evacuations. What could we do to avoid this? Granger Morgan, professor at Carnegie Mellon University, Co-Director of the Center for Climate and Energy Decision Making and Co-Director of the Electricity Industry Center, explains how we might retain power in this episode of Energy Bite. How Stuff Works: Why are they replacing all of the traffic lights in my town? HOST INTRO: If the power goes out in a city, traffic lights stop working and traffic quickly snarls. Is there any way to avoid that? On this week’s Energy Bite, Granger Morgan, a Professor at Carnegie Mellon University, has some answers. DR. GRANGER MORGAN: Snarled traffic can be a serious problem in a blackout, especially if police, fire and ambulances can’t get through. But, there is any easy way to avoid the problem – use traffic lights that have battery back up. HOST: How does this work? Don’t traffic lights use a lot of power? DR. GRANGER MORGAN: The older style of traffic lights that used incandescent light bulbs certainly did. But today traffic lights are being switched to solid state LEDs. Those are the ones that look like they are made up of many small dots. Because LED lights are very efficient, they can run on a battery. If a small solar panel is added at each intersection, the traffic lights can be completely independent of the power grid. HOST: Wouldn’t that be expensive? DR. GRANGER MORGAN: Because running an LED light costs only 10% as much as conventional lights, many communities are already converting their traffic signals and saving money. At busy intersections, adding independent battery back-up power can be a very prudent investment. HOST: Would you be willing to support the cost of installing solar traffic lights in your town? Take our poll, see the results, and ask your energy questions at Energy Bite dot org. Wood is renewable, so does that mean we should all use it to heat our homes? In this episode of Energy Bite, we talk with Granger Morgan about how to decide whether burning wood is the right heat source for us. Morgan is a professor at Carnegie Mellon University, Co-Director of the Center for Climate and Energy Decision Making and Co-Director of the Electricity Industry Center. HOST INTRO: My friend in New England heats her house with a renewable fuel – wood. Should we all be doing that? On this week’s Energy Bite, Granger Morgan, a Professor at Carnegie Mellon University, has some answers. DR. GRANGER MORGAN: I grew up in New Hampshire, and a lot of my friends and relatives heat their house with wood. It’s both renewable and it’s cheaper than fuel oil. If you live out in the country where there aren’t lots of people but lots of trees, burning wood is a great strategy to heat your home. Wood use has been increasing in the Northeast and middle-Atlantic – as have exports of wood pellets from the U.S. to Europe. HOST: So, why don’t we burn wood everywhere since it is renewable? DR. GRANGER MORGAN: While modern wood stoves and furnaces are efficient and clean burning, in dense urban settings heating with wood can still cause air pollution problems. HOST: What is the best way to heat your home with wood if you don’t live in the city and it is an option for you? DR. GRANGER MORGAN: Use a modern stove or furnace that carefully controls combustion and make sure the system is properly maintained so that there’s not a risk of fire or carbon monoxide. HOST: Is a wood burning stove a good option for your home heating needs? Take our poll, see the results, and ask your energy questions at EnergyBite.org. Energy Bite is a co-production between 90.5 WESA and Carnegie Mellon’s’ Scott Institute for Energy Innovation. In our Earth Day episode we talk to Granger Morgan, professor at Carnegie Mellon University, Co-Director of the Center for Climate and Energy Decision Making and Co-Director of the Electricity Industry Center. HOST INTRO: April 22nd is Earth Day, which brings up the question — are we doing any better today than 45 years ago on the first earth day? DR. GRANGER MORGAN: Producing and using energy has one of the biggest environmental impacts of anything we do. So, part of the answer is yes because we are using more clean natural gas and less coal. HOST: Where are we not making good progress? DR. GRANGER MORGAN: The generation of most of our electricity still adds carbon dioxide to the atmosphere. Wind makes only 4%, and solar only 1%, of the electricity we use. Because natural gas is cheap, some nuclear plants that produce zero emissions are closing, and we are not moving fast enough to learn how to scrub carbon dioxide out the exhaust of coal and gas plants. HOST: How much more, if any, would you be willing to pay to have your electricity made without releasing carbon dioxide to the atmosphere? Take our poll, see the results, and ask your energy questions at EnergyBite.org. 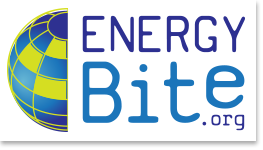 Energy Bite is a co-production between 90.5 WESA and Carnegie Mellon’s’ Scott Institute for Energy Innovation.